HeyPlantMan! 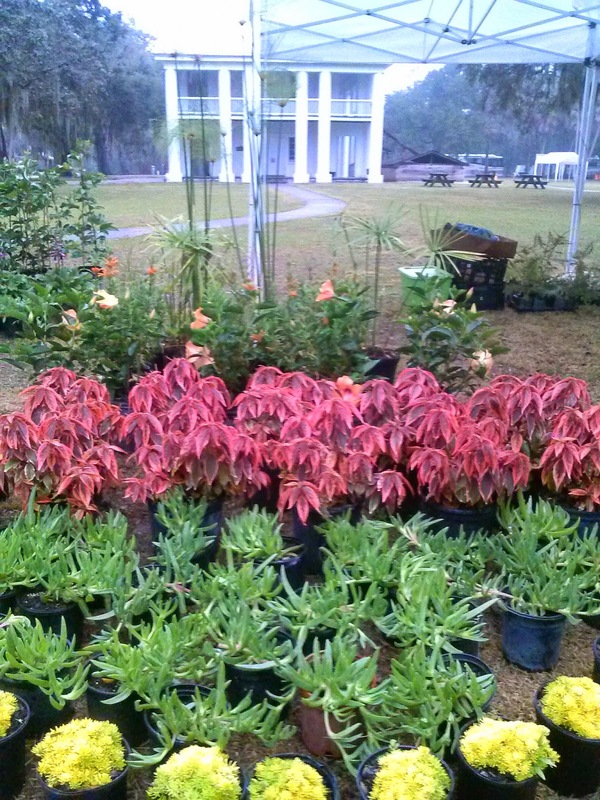 Exotic Tropical Plants from St. Pete FL: Gamble Mansion Show and Market this February weekend! Gamble Mansion Show and Market this February weekend! Are we not the luckiest gardeners in the world to be able to live in Florida and have glorious gardens when the rest of the US is smothered in snow?! Even though we have had some cool days, they don't last long, and boy, the plants just love this time of year when they aren't struggling with heat and humidity. 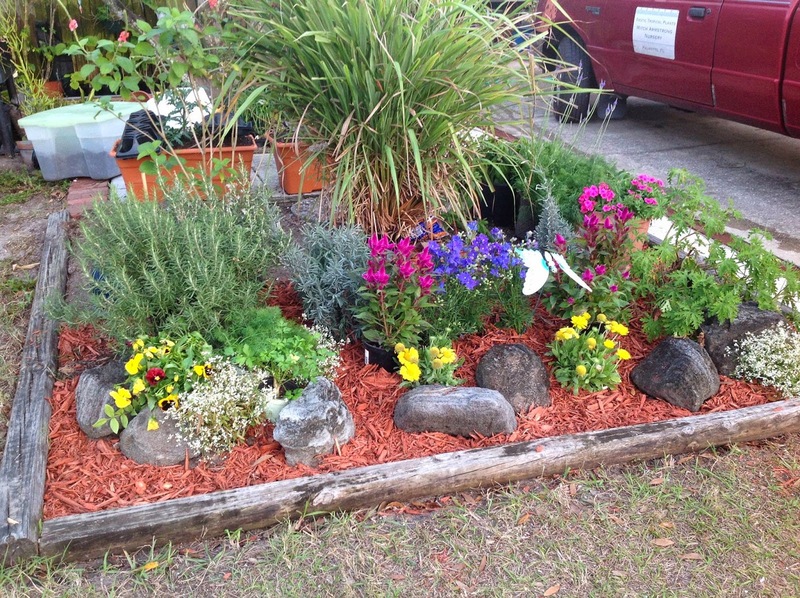 Last week, I got in the mood to put an early perennial garden in, and pretty pleased with the start of it. Backed by lovely tall Lemon Grass, the Rosemary, Lavender, Citronella, Celosia, Gallardia and Herb pots are pretty happy ! This weekend, we have another event going on besides the Saturday Morning Market. We will be set up down at the lovely Gamble Mansion property in Ellenton, FL. The land is actually a Florida State park, and this beautiful piece of land has the only surviving plantation house in South Florida. The antebellum mansion and land were home to an extensive sugar plantation and it has a long history of historic tenants. On the property this weekend, there is also a large Arts & Craft Show happening, and, we will be there with our Unusual & Exotic plants for sale too. They give tours of the mansion during the weekend which are very popular with locals and snowbirds. If you are in the area, stop on by for a unique experience. Another interesting fact about the Gamble Mansion property...the property originally had many Palm Trees planted all over, and about 40 years ago, they decided to pull out all non-natives and replace them with Oak Trees and a very young Mitch was part of the Installation crew that put those Oaks in place, so it's pretty amazing to see the towering Oaks now and know that Mitch was part of making that happen ! The show runs Saturday from 10am to 5pm, and Sunday 10 am - 4pm. While Susan and I are running the show down in Ellenton, the guys will be running the show at our booth at Saturday Morning Market, downtown St. Pete.